Tis’ the season for wreaths, Christmas trees, and Menorahs, as well as a time for gift giving and gift receiving. It is also a wonderful opportunity to demonstrate human compassion and kindness. Tis’ a great time to use your holiday spirit to spread good will, share your love, and give back to others in the community. We have struggled for years to find the true meaning of Christmas as our holiday season has become more and more commercialized. However, as a result of the recent recession, this year appears to be different. Many have discovered that it is not the possessions we have in life that makes us happy or successful, but it is how we live our lives. As a result, many are donating more of their time to help address community issues and others are downsizing. Kudos to you, if you are one of these people. As I began to reflect on my personal holiday traditions, I am reminded of two of my most anticipated Christmas shows including Dr. Seuss’ ”How the Grinch Stole Christmas” and Peanut’s “A Charlie Brown Christmas.” Not only are these entertaining, but they attempt to remind us of the “reason for the season.” Maybe this is why they are my favorites. In the Grinch, Cindy Lou shows us that there is more to Christmas than the glitter, the glitz, and the gift giving. She shows us, and everyone else in “Whoville,” that we need to follow our heart. Likewise, Charlie Brown in “A Charlie Brown Christmas” gets fed up with the commercialism of the holidays as he grapples with the true meaning of Christmas. Charlie Brown, like Cindy Lou remind us, that Christmas is all about kindness, helping others, sharing, and giving. It is a wonderful lesson for us to remember and share with others. We can follow Cindy Lou and Charlie Brown’s lead and reach out to our friends, neighbors, family members, and others less fortunate. We can show people that we care, that we are thinking about them, and that we appreciate them. People would much rather have the gift of love than a store bought gift, anyway. We can start new family traditions and teach our children and grandchildren the real meaning of the season. We can teach them about love, compassion and responsibility by showing them how fortunate they are, as well as, how they can make a difference by doing their part. Most importantly, we can share our personal wealth, time, and talents with others who are less fortunate and make a difference in our communities, one person at a time. Donate an hour (or more) of your time to a local charity. 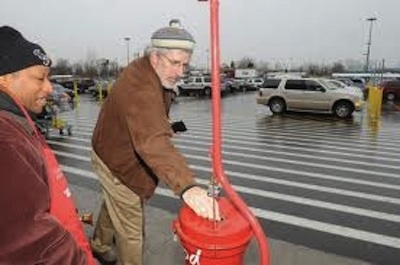 During the holiday season consider being a Salvation Army bell ringer, serve food at the local soup kitchen, help out at a local nursing home or share your musical and artistic talents by providing entertainment at a local shelter. Use the holidays as a kick-off for a year-long effort of volunteering. 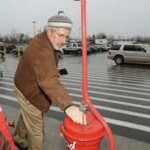 Assist with your community’s “Santa to a Senior” or “Home for the Holidays” program. Buy a gift for an older adult in need. Help wrap or deliver gifts to older community members. Contact your local Home Instead Senior Care office or Agency on Aging for additional information. Work with everyone you know to pull together a box of food donations and give them to your local food pantry. Due to the holiday season, the recession, and increased demand for services, our local food pantries are in desperate need of food. Something as simple as one can of soup can provide dinner or lunch for a person in need. Visit or assist a “shut in” who needs assistance. Assist with putting new batteries in their fire detector, take out the trash for them, offer to help clean up their house. Put up holiday decorations for them. Cook a holiday meal to them, or better yet, invite them to your holiday dinner. Drive them to a medical appointment or to the grocery store. The opportunities are unlimited. Contribute to a cause in the honor of an older adult. Most non-profits will offer opportunities to make a donation in honor of another person, then let them know that you have done this. Consider making a donation in honor of an aging family member, friend or community member who has inspired you. What a wonderful way to show you care and to thank them while doing something to help others in need. Go to the local “dollar store” and purchase bingo prizes for your local parks and recreation, nursing home or senior group. Little inexpensive treats are just as delightful as their more expensive counterparts! Invite an elderly neighbor or friend to join you at the holiday church service or another holiday event. Send an anonymous holiday card with cash to someone in need. Or mail a card with your name on it letting someone know how you appreciate them and how they have changed your life. With all the computer and electronics in our world now, getting cards and letters in the mail are a rarity these days. Give a caregiver a break for a few hours. Offer to stay with his/her loved one so they can have a brief respite from care. Take a small lap dog or friendly animal to visit an elderly person or a family with children who cannot afford a pet. Dress them up in silly Christmas bows and ribbons for their amusement. These are but a few of the many ways we can spread love, goodwill and holiday spirit during this holiday season. I am sure you can think of many more. Whatever you do, do it from the “heart.” You will be glad that you did. Not only will you feel great satisfaction for doing something good, it will warm your soul, and be good for your health. It will also help make this a holiday you won’t forget. A small act of kindness goes a long way!